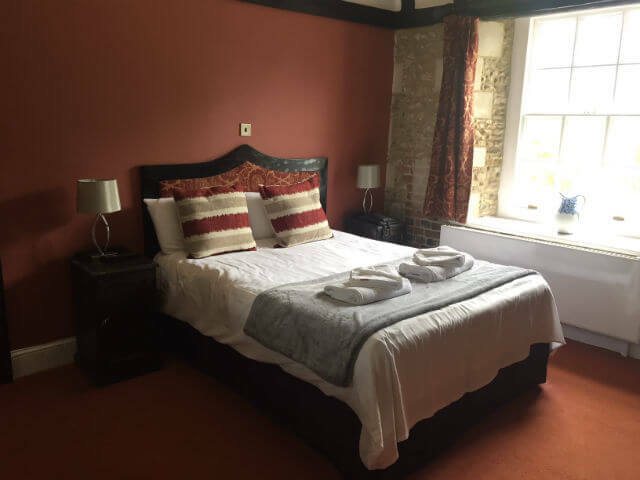 Book DirectWhether staying for business or pleasure, book direct with Hitchin Priory for Best Rate Guarantee, you won't find us cheaper anywhere else! Conveniently situated, Hitchin Priory is an ideal base for exploring the historic traditional market town of Hitchin or even a day-trip to London, which is only a 30-minute train ride away. Steeped in history dating back to 1317 and originally a monastery, Hitchin Priory retains many of its original features today, including cloisters, Monks Walk with its original beams and large banqueting halls with grand fireplaces. Set in 19 acres of beautiful parkland, many of the bedrooms have picturesque views over the grounds and the pretty town of Hitchin. All our comfy 52 bedrooms at Hitchin Priory are en-suite and provide tea & coffee making facilities, TV, hairdryer, and trouser press. If you’re away on business, the rooms have ample work space and good lighting. Please note that Wi Fi is only guaranteed in the meeting rooms and public areas. Ideally located just a few minutes walk from the centre of Hitchin’s quaint market town, yet surprisingly tranquil given its proximity to the city of London and nearby London Luton Airport, Hitchin Priory provides a perfect environment to relax and unwind. For those attending a concert or event at Knebworth, we’re a mere 6 miles away. * Early check-in cannot be guaranteed, but we will be happy to store your luggage if you require. To make a reservation, simply click on the ‘Book Now’ button above, or call our reservations team on 01462 420500. Experience what it’s like to truly relax and get away from it all with our Lazy Sunday offer.